There are 5 posts filed in Music (this is page 1 of 1). “I Love Her So”, Arranged for trombone quartet. As a present to my girlfriend who’s studying abroad for 5 months, I decided to write an arrangement of Ray Charles’ “I Love Her So” for trombone quartet. The sheet music is available here and a recording can be found on SoundCloud or below. 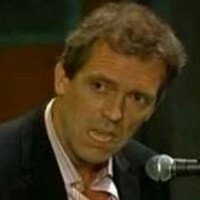 Omdat ik wel eens kan lachen met het lied “Mystery” van Hugh Laurie, besloot ik een eigen Nederlandstalige versie te maken. Dat klinkt als volgt. Dus waarom houd ik nog van jou? Waarom ben ik verzot op jou? Waarom schreef ik dit lied voor jou? It’s been a while since I wrote this music. It was 2008 when I first composed the piece for trombone and piano, while I later arranged it for trombone and full harmony band. I decided I wanted to put the music on this little blog for the world to see, use and share. So here it is. Hereby I publish this music under the CC license (which means you are free to download and perform it). All I ask is for a little heads up if anybody ever performs it. If you’re looking for a recording of the music, look no further (piano version only). Sanomme by Pieter Hiele is licensed under a Creative Commons Attribution 3.0 Unported License.